In the good old days of computing, success was all about showing up with the right cables. A VGA cable for the screen. A parallel cable for the printer (or an Iomega Zip drive – remember those?). The keyboard and mouse also had their own unique way of connecting – via the PS/2 port. And if you wanted to attach some strange device, like a drawing tablet, you’d need a serial cable. 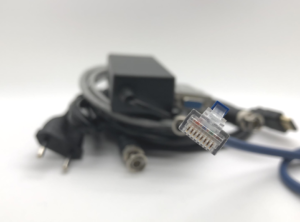 If you ever needed to connect your camcorder, you’ll certainly remember FireWire. Showing up with the right cables is still a challenge. In an increasingly complex world – wouldn’t it be great to have one less thing to worry about? Especially when many of the connections we need to use are limited in terms of their reach without some form of signal amplification. A complicated install can become a nightmare. Fortunately, help is at hand. Its name is IP. AV installations are no longer the technology islands they once were: now, the network is omnipresent – and IP has the potential to change the game, making it possible to connect almost anything to almost anything else quickly, easily and cost-effectively. Today, everyone is talking about AVoIP – running audiovisual applications over an IP network – which has the potential to take interoperability to a new level. Meanwhile, in a parallel universe, others are talking about moving audio and video over IP networks. That parallel universe is the broadcast industry. What’s interesting is that both it and the AV industry are grappling with the same challenges. 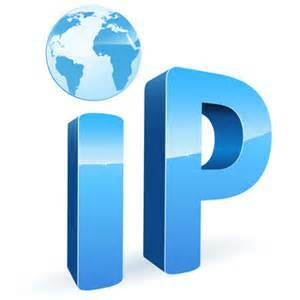 While, notionally, IP is IP – it’s not quite that simple. Both industries are finding there’s work to do when it comes to achieving real interoperability – with its advantages of manufacturer-independence, flexibility, scalability and the lower costs associated with COTS (commercial off-the-shelf) hardware – and to delivering media across the network. That applies especially to video. To address the challenge of IP interoperability, the broadcast industry has benefited greatly from the work of SMPTE in defining standards like ST 2110 as media companies move away from their historic reliance on SDI. In the AV industry, the SDVoE – Software Defined Video over Ethernet – Alliance is undertaking a similar effort. The adoption of standards is absolutely critical to achieving the many and compelling benefits of IP. Inevitably, there are still companies – some of them well-known in the industry – who are resisting interoperability and open standards in order to ‘capture’ customers. That’s something that buyers need to be wary of. Interoperability is one challenge. The other challenge is transporting video over the network. Here, things get a little tricky. For many, the ‘holy grail’ is uncompressed video. Uncompressed video has upsides – and a downside. The upsides are, of course, that the video is ‘perfect’ with no induced artifacts. Also: given that the video is only minimally processed at departure and arrival, glass-to-glass latency is almost non-existent. That makes it ideal for applications where what’s being recorded or transmitted is being viewed in the same room. Take education, for example. That’s a great example of a market where both interoperability and minimal latency are vital. Interoperability allows systems from different manufacturers in different educational establishments to ‘talk’ to each other, facilitating sharing – while minimal latency ensures that the experience in one classroom is identical to that in a classroom on the other side of the world. The downside, of course, is that uncompressed video consumes huge amounts of bandwidth – of which there is rarely enough. That’s given rise to codecs – compressing video at the point of transmission, and decompressing it at the point of reception. Inevitably, codecs give rise to some loss of image quality – although for many, this is imperceptible. The trade-offs in codec design include how to minimise quality loss while minimising file size – and thus bandwidth – and, perhaps most importantly, minimising the amount of processing performed at each end in order to minimise latency. It’s a tough proposition. There is, though, another important consideration when designing – and choosing – a codec. The world of IP is all about compatibility and interoperability – so choosing a codec that is non-standard or, worse, proprietary, is a potentially dangerous thing to do. Today, H.264/AVC and H.265/HEVC are pretty much the industry standard, and have been widely implemented. For many, they establish an excellent trade-off between image quality, bandwidth consumption, latency and interoperability. There’s a common misconception that H.264/H.265 suffer from latency. That’s just not true: if that were the case, they wouldn’t have achieved the high degree of industry acceptance that they have done. Today, our PTZ cameras support industry standard interfaces – USB, 3G-SDI and HDMI. 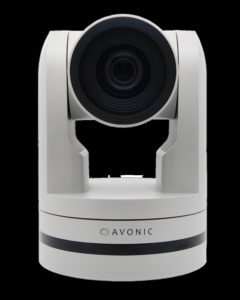 But: with PTZ cameras, as with just about every other element of the typical AV installation, IP provides a compelling opportunity. Imagine, for example, being able to simply unplug a camera from a point in the network – and then reconnect it somewhere else. IP brings that kind of flexibility. Our CM61-IP, with its support for H.264 and H.265, is an excellent example. IP also – as it can with the entire AV infrastructure – allows remote/central management of devices, with huge benefits in terms of efficiency and resilience. It will take time for everything to fall into place in terms of the AV industry’s migration to an all-IP paradigm. The benefits of doing so are so compelling, though, that it’s no longer a question of whether it will happen – but of when.